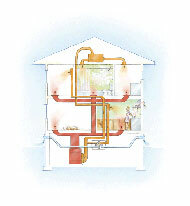 If the house has an exhaust-only ventilation system, will fumes be drawn inside? Convenience at a cost. 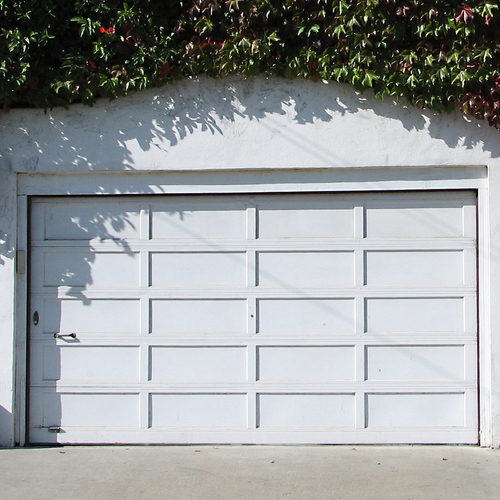 Attached garages are great on rainy days, but poisonous fumes may leak through gaps in framing into the living space. Worse, HVAC equipment can circulate exhaust and fumes throughout the house. Jack Woolfe wants to build a small, airtight house with an attached garage. The house will have an exhaust-only ventilation system, meaning the system will expel stale air from the house without providing a specific source for replacement air. That’s one of several options for whole-house ventilation, but Woolfe is weighing the possible risks. Woolfe’s question is the subject of this week’s Q&A Spotlight. Peter Smith suggests Woolfe consider something called occupant-sensing ventilation, available through Conservation Technology. The company describes it as a “continuous, multiport, exhaust-only” system. An efficient exhaust fan is connected to bathrooms, laundry and kitchen with a trunk duct and motion-sensing exhaust grilles. When the rooms are unoccupied, airflow rates are modest. When a room gets too humid or is occupied, airflow rates jump sixfold. John Klingel has two additional ideas: install a high-capacity fan that starts up whenever the garage door is opened and runs for 20 minutes. The system would have an inlet for fresh air specifically for the garage. And second, Klingel suggests, install the door between the house and the garage so it opens into the garage. That way, any negative pressure in the house will draw the door more tightly closed. No doubt this is true. Given the variety and toxicity of stuff that often ends up in the garage, keeping the structure safely away from an airtight house sounds like good advice. Except that Woolfe is counting on it. The Prius factor? Linck isn’t the only one to have a hybrid car. “I’ve found that with our hybrid car we can back out and close the overhead door before the gas engine ever kicks on,” writes Kevin Dickson. But not everyone owns an electric vehicle, and there also are the many solvents, fuels, adhesives, finishes and other potential sources of foul air in a garage. And, Linck adds, if you’re a fan of starting your car with a remote device, you’re probably better off with a carport. Is this any way to heat a garage? While the air-sealing details to isolate an attached garage are not easy, they work. 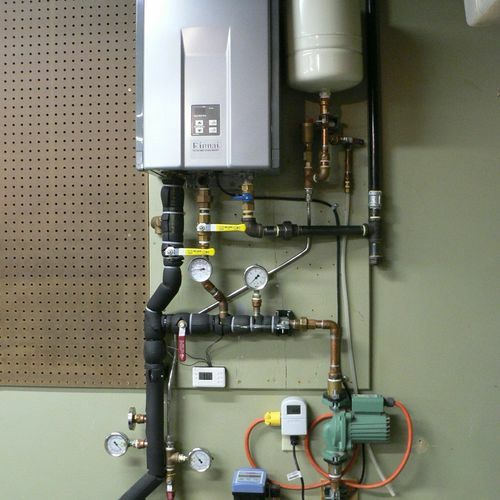 For more, see How to Build an Energy Star Home: Building Plans for the Thermal Bypass Checklist. Diagnostic testing can confirm how effective this is. An excellent workshop by Keefe, Cox, and Williams on the principles, techniques, and procedures for isolating attached garages was presented at an Affordable Comfort conference: The Garage Connection: Solving Indoor Air Quality and Comfort Problems. I have to admit, I have been pretty dead-set against the idea of attached garages from an indoor air quality perspective, but the sheltering and material savings associated with an attached garage are compelling. 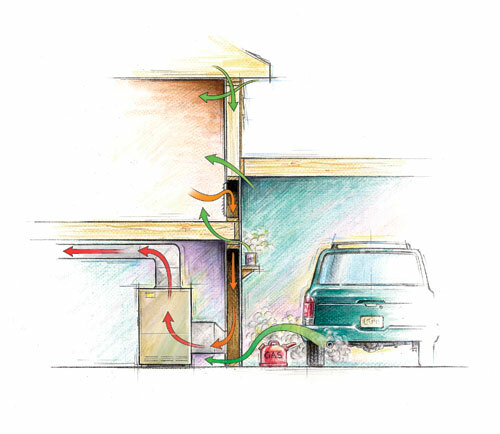 If the garage is isolated outside the conditioned boundary, the door to the house is airtight and swings outward, and a dedicated exhaust fan on a trigger and timer is installed. Sure seems as though our GBA crew, collectively, has nailed this one. In my past three homes, all of which had drywalled and insulated walls, here in Denver where it sometimes drops to 20 below, I've never had the temperature drop below 35 degrees, as the engine block heat keeps the space above freezing. Still not a good idea to store paint in there, as one day I'll forget to put the door down. On this home, I put in a through wall bath fan on a motion sensor switch, that detects any movement, auto or pedestrian, and kicks the fan on for 30 minutes. No separate inlet; I'm relying on the leaks in the insulated garage door weatherstripping. Jack, I am so glad you are asking about the make-up air side of ventilation too. I’m glad to share my solution. I wanted to get controlled fresh air 24x7 plus slightly positive air pressure to help with indoor air quality. Along the way I learned that HRVs do not add supply make-up air – they only replace what they take out. 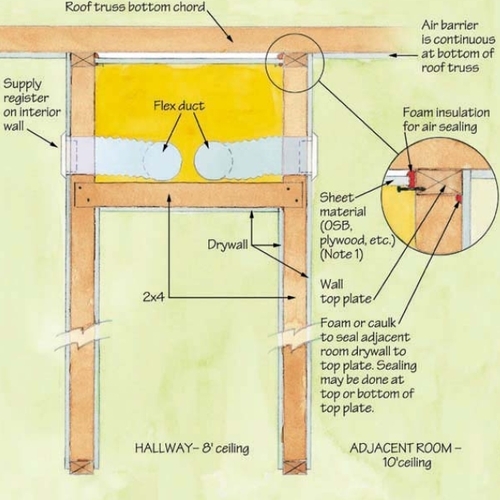 I found this GBA article was very helpful: “Designing a Good Ventilation System: Ventilating Is Easy — It’s Ventilating Right That’s Hard (Musings of an Energy Nerd, Martin Holladay, June 15 2010). It helped me validate a decision to use Central Fan Integrated Supply (CFIS – my abbreviation) for my very tight and efficient house. I found very good information plus cold and warm region CFIS approaches from Building Science Corporation (buildingscience.com). GBA staff collaborates with BSC staff to provide super well-reasoned advice. Check out RR-0304: Central Fan Integrated Supply Ventilation—The Basics. There’s additional articles from there – the BSC search bar works well. I chose the Aprilaire 8126 ventilation controller/damper integrated with an Aprilaire dehumidifier, but there are other installation options. For apples-to-apples comparison, the 8126 is $100+ and installation of insulated ductwork and integration into my HVAC was an additional $300 (in Sept 2010) for my new home. CFIS brings fresh air into your return air plenum for mixing by your existing HVAC system. 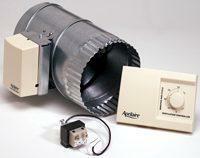 An important requirement is a high-efficiency ECM variable speed blower on your furnace. Make sure your heater choice has an efficient exhaust blower motor too, since both are running when venting, heating or cooling. Ventilation demand calls have to be calculated and programmed via your thermostat or other HVAC control method. I may find that I still want an HRV in the future. But for now I am very happy with a thermostat setting of 70 F and initial natural gas bills of $66 in January and February 2011 in Cleveland (for heating 3400 SF first, second, and basement plus gas cooking, and gas dryer). Why not a monoxide detector that alarms in the home? I admit not being a fan of attached garages, although I know all of the benefits of having one attached. However, more than one person/family has been killed due to a car left running in the garage. Just this morning on a radio program, a young lady in her 70s admitted to forgetting that she once forgot that she left her car running in the garage. This past winter, a sheriff's deputy, who should know better, and his wife were killed due to a car left running in the garage. 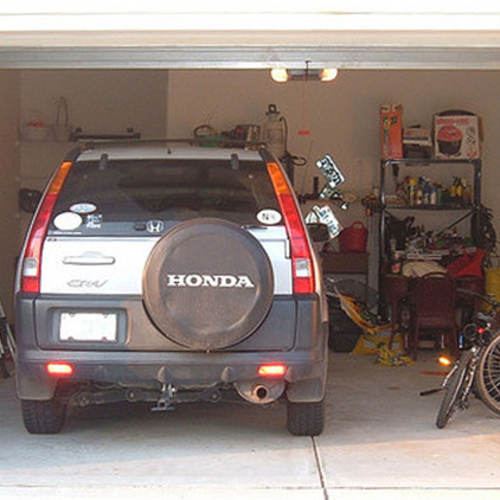 If the garage is made somewhat air tight, a person in the home might not even hear a car running in the garage. After all, one of the goals of car designers is to made quiet cars. Another possibility would be someone starting a car with a remote starter and just forgetting--we are such a distracted people after all--or someone else, say a child doing it without a parent knowing. And, I have also heard the tragic stories of a person who committed suicide, and negligent homicide of the rest of the family, by car in a garage. I have never understood why, then, monoxide detectors in garages are not more popular. We have the technology to make detectors that sense in the garage and alarm in the home--even one that could do that wirelessly or using the home's wiring as transmission cables. We also have the technology to make detectors that can actuate a ventilation fan in the garage. We have them for commercial garages. So, why aren't they used for home attached garages? I find that strange because I hear far more stories of people dieing from monoxide poisoning in home garages than in commercial garages.